Well, it’s the musical performance that everybody in Sheffield has been talking about. Standing at the Sky’s Edge, I have to talk about it, because it was absolutely phenomenal. For those of you who aren’t from the area, or those Sheffielders who have been living under a rock, Standing at the Sky’s Edge is a new musical, with music written by Pulp’s Richard Hawley, focussing on Park Hill flats. Park Hill, is a concrete giant which has overlooked the city centre since the late 1950’s and is steeped in local history. Originally built to solve Sheffield’s social housing problem, Park Hill was a community in the sky, a chance for a new life and opportunity. Through years of political and industrial struggles, the once- utopia like flats and their residents, were eventually left to rack and ruin. 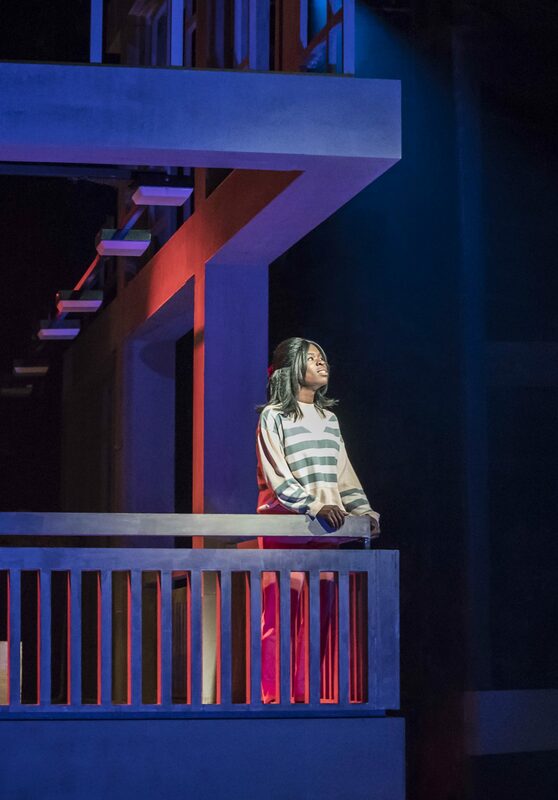 The musical explores the lives’ of Park Hill’s residents over the years and what the streets in the sky meant to the people who lived in them. Park Hill gets given a bad rap from locals, but when it first opened it’s doors to residents in 1959 it was a haven and a chance for a new life away from slum living. The Crucible’s production is very clever in that it follows three, interwoven time lines. Starting in the 1960’s, 1990’s and 2010’s. It was interesting to see how the feeling of hope and community warped into mistrust and a feeling of helplessness over the years. The newest timeline focusses on the flats now they have been renovated and are fit for purpose once more. I think it is important that The Crucible and Sheffield Theatres spoke to the ex and current residents of Park Hill to get an accurate representation of what it means to have lived there. 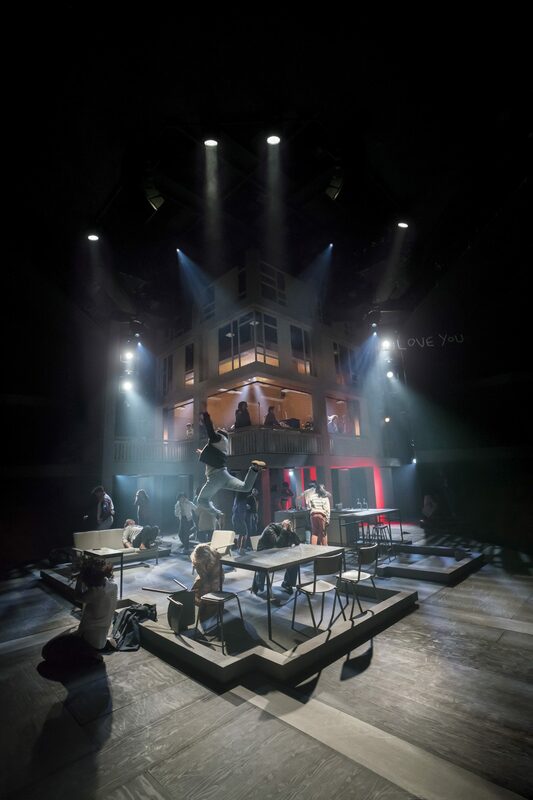 The staging of the show was brilliant, it genuinely felt like there was a tower block on stage, not to mention the clever use of space to create an ever-present flat. The music was also amazing, it was edgy and moody but didn’t take away from the story lines and really helped to build tension at key points in the plot. If you fancy a listen, Richard Hawley’s version is available to stream. My favourites were “Standing at the Sky’s Edge” which opens the second act, and “Tonight the Streets Are Ours”. 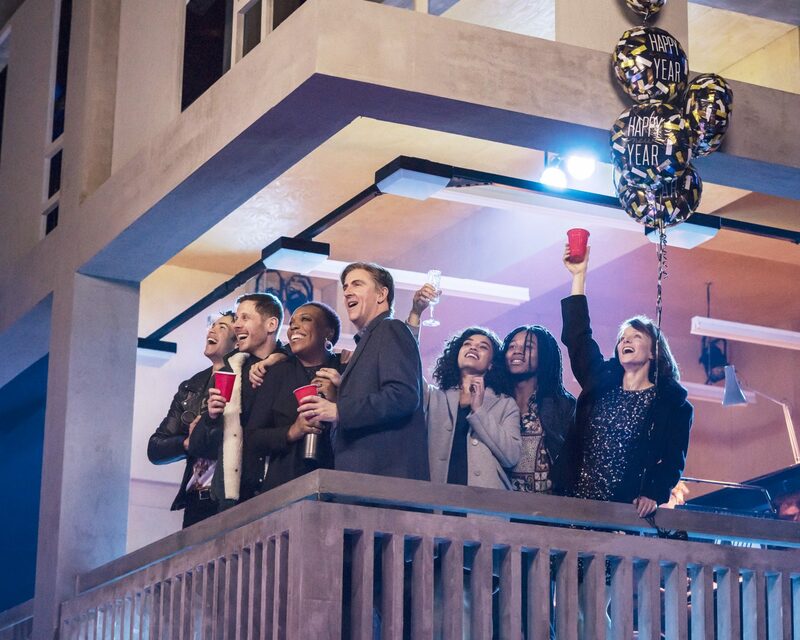 The cast was ace, they captured exactly what it means to be from Sheffield. The Yorkshire pride, the make do attitude and the never ending love for Henderson’s Relish. I really really hope that this show goes on tour so that other people get the chance to experience. It was a sell out run of shows which I’m pretty certain got a standing ovation every single night if that tells you anything. 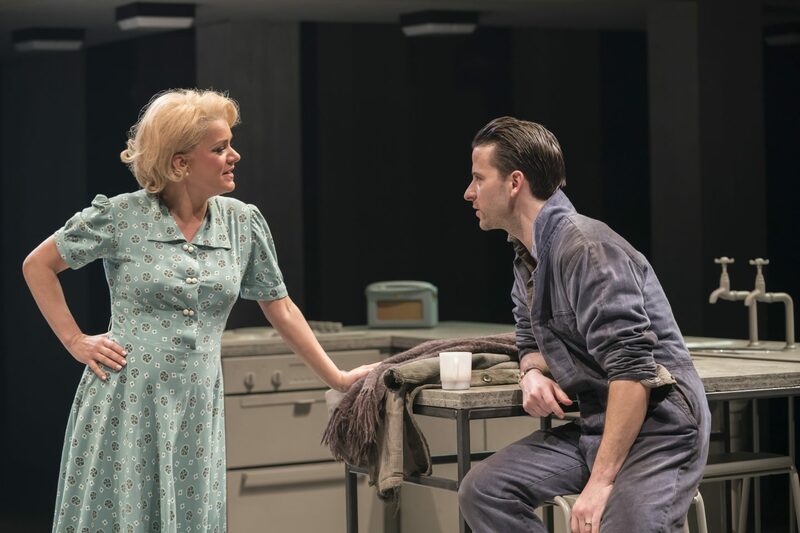 As per, Sheffield Theatres has excelled itself, but what else would you expect from the company which brought us Everybody’s Talking About Jamie, which is now a West End smash hit? The show’s run has now come to an end, but I just had to share my thoughts on the amazing production. Fingers crossed one day we’ll get to see it again and more audiences will get to enjoy the amazing story of Park Hill and it’s residents. Did you manage to catch Standing at the Sky’s Edge whilst it was on? What did you think? Let me know in the comments below! *This is not an AD but Sheffield Theatres kindly provided photos by Johan Perssons to accompany this blog post.